Delance creates Swiss luxury watches for women. 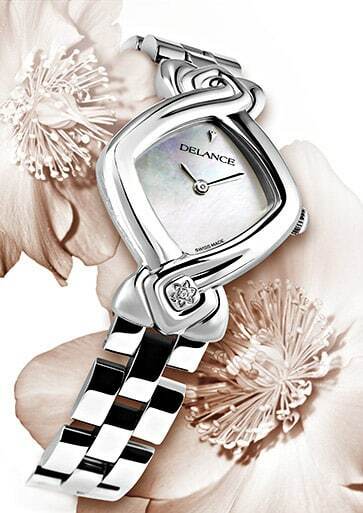 Created in 1996 by Giselle Rufer, Delance manufactures exclusive watches for women. Her dream is for Delance to become a silent mentor, a sign of recognition for women who want to take their destiny into their own hands. “Style, boldness, audacity, I wanted a watch that reflects my personality and my values. A Taliswoman symbol of Life – Harmony – Spirituality. A watch ticking with my feminine rhythm. Think globally, act locally: this vision, born from the necessity of sustainable development across the world, embodies the cornerstone of the entrepreneurial model of the brand. Each one of them is a DELANCE ambassador.